At General Ricardo Sanchez Elementary they believe in the importance of instilling a love of reading. 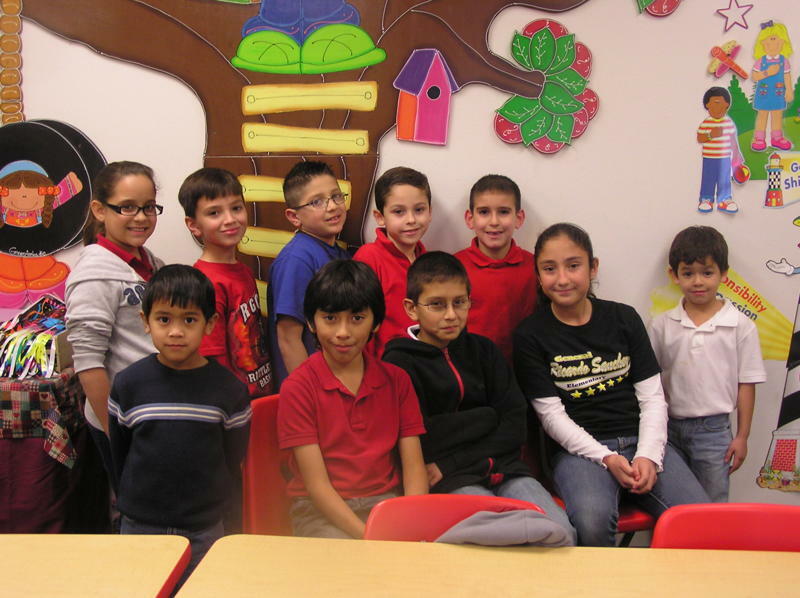 Every six weeks, students at General Ricardo Sanchez Elementary are rewarded for accomplishing a point goal and being top readers. We would like to congratulate 1st grade students Josue Barrera, Tristan Solis, Andre Legaspi, Alfonso Sarabia, Jimena Barrera, Joaquin Marquez, Yahaira Cruz, Kamryn Garcia, 4th grade students Preston Saenz and Paola Molina and 5th grade students Oscar Soto, Daniela Guerra, Brandon Gracia and Aylin Hinojosa for reaching and exceeding their goals. Our top readers were rewarded with a Burger King Meal and a movie. Good job and keep up the good work! RGCCISD photo.